Films at the Gate is proud to present some of the best kung fu talent from Boston’s Chinatown! Each evening, we will have free live performances from local masters and schools before screening a classic kung fu movie. Don’t miss a single night! Live performances start around 7:30PM, Films at 8:00PM. Detailed schedule here. Below, our curator Jean Lukitsh gives an introduction to the talent. Thanks Jean! Thursday, Aug. 25: Students of Wudang Master Zhou, Xuan-Yun. Master Zhou is a Daoist monk who trained at the world-renowned Wudang Temple in China from childhood. He belongs to the Orthodox Unity sect of Daoism, and is trained in ritual arts, chanting, divination, and internal alchemy. At the age of 20, he left the Temple and traveled around China for four years, in order to seek out and dialogue with fellow martial artists. In 2005, Xuan Yun moved to Dali City, in Southwest China’s Yunnan Province, where he dedicated himself to sharing the martial arts. With over ten years of teaching experience, he has taught students of all ages and from over 25 different countries. 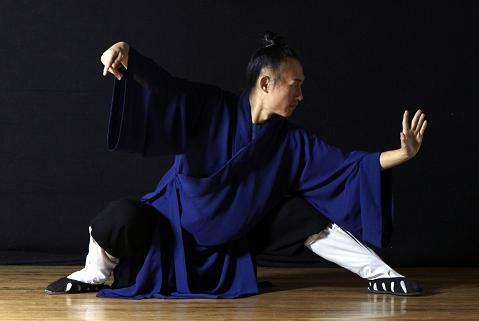 Master Zhou currently divides his time between China and the United States, where offers classes on traditional Wudang martial arts, Qi Gong, and Daoist philosophy. He teaches in Boston at the Ultimate Fitness gym, 33 Harrison Ave. in Chinatown. As of 2008, Zhou, Xuan-Yun is also a featured writer for Kung Fu Tai Chi magazine. Friday, Aug. 26: Wah Lum Kung Fu Athletic Association, under the direction of Master Bob Rosen. Wah Lum Kung Fu of the U.S.A. was started by Grandmaster Chan Pui in Boston’s Chinatown over 35 years ago. 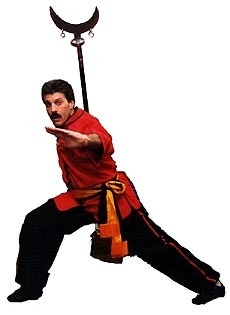 Sifu Bob Rosen has been instructing in the martial arts since 1972 and is the Chief Instructor of the Wah Lum Kung Fu Athletic Association, established in 1984. He is the first non-Asian instructor to operate a school in Boston’s Chinatown, and he has been a 7th generation student of Grandmaster Chan since 1976. In 1989 he was a member of the first non-Asian group to study Kung Fu in the Shaolin Temple. In 1994 he won a Gold Medal in the Open Weapons division at the Beijing International Tournament in China. In 2001 he was the senior coach for the Wah Lum team at the Shaolin Wushu competition in Zhenghou, China, which won numerous awards. He has coached many students who have been successful in fighting, forms, and weapons at local, national and international events. Saturday, Aug. 27: Grandmaster Bow Sim Mark and students. We also have a special treat for our Friday night audience. 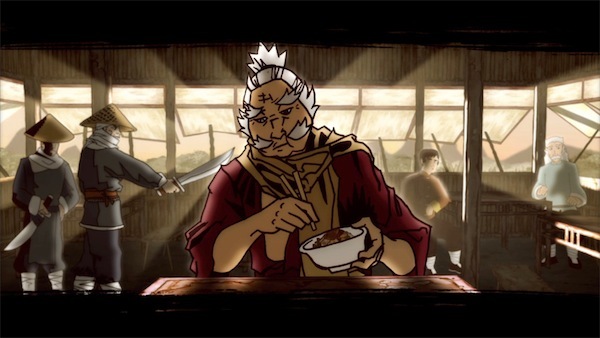 Aric Mannion, a young filmmaker from the Boston area, will present two “microfilms,” REVENGE OF THE REVENGE and the animation FUNK-GU, in the form of kung fu movie trailers which will be shown immediately before our feature presentation of GALLANTS. Mannion has created and directed a number of award winning videos. He graduated with a fifth year certificate from the School of the Museum of Fine Arts, Boston, and was the recipient of the school’s prestigious Traveling Scholarship Award in 2005 for his kung-fu short “Monkey”, starring Mike Wong. He also participated in the 2007 Traveling Scholars Exhibition at the Museum of Fine Arts, Boston with two avant-garde video installations entitled “Lost Souls”. For the past several years Mannion has been professionally creating media for museum exhibitions for the Richard Lewis Media Group in Massachusetts. Most recently he animated three short films entitled “Snapshots in Time” for the Smithsonian Institution National Museum of Natural History’s new “Human Origins” Exhibit. Mannion continues to create independent work in his free time, including the “Neo Teppen” Show with Kaiju Big Battle and “Funk-Gu: the Animation” with long time collaborator, Mike Wong. More information here. The Sunday Aug. 28 program will be announced soon.